Like most modern long-distance relationships, Mirasol Fajardo Savchenko, a person with post-polio syndrome, met and fell in love with her husband online. 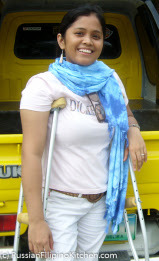 She was then working as a computer programmer at the municipal IT department of Dalaguete in Cebu and the president of the municipal association of PWDs. After three years of cyber dating and spending short periods of time with her fiancé in the Philippines, Savchenko came to the United States through a K1 or fiancée visa in 2008. Months of visa processing comes close to a conclusion with an email from the National Visa Center (NVC) indicating the interview date and time at the US embassy in Manila. I was sure that I would be able to sufficiently answer all the immigration officer’s questions because Ray and I were very hands on with our visa processing. Of course it also helped that he was with me during the interview. If you’re a spouse or fiancé/fiancée who is planning to immigrate to the US for love, these websites will be helpful to your journey. 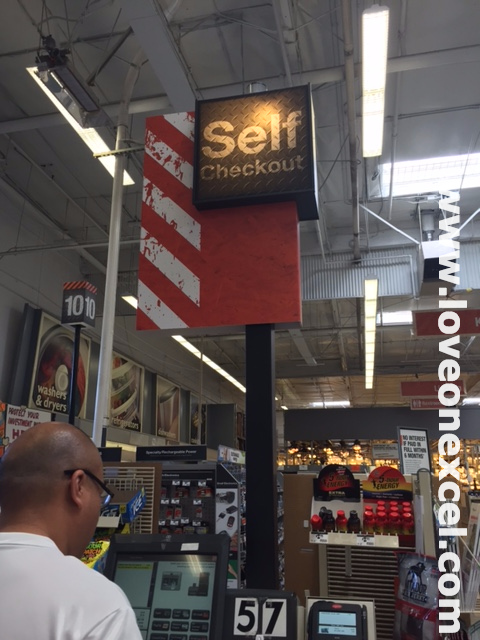 One of the self check-out counters at Lowe's. Convenient, fast-paced and automated is how many things in everyday life in the States is usually described. It was how Ray described laundry in the States the first time he and I rinsed and wrung out four to five loads of clothes at our building rooftop in Quezon City. Things in everyday life—from laundry and shopping to transportation and dining—will differ between countries in terms of convenience and accessibility, and they usually become quickly apparent early in the adjustment period. 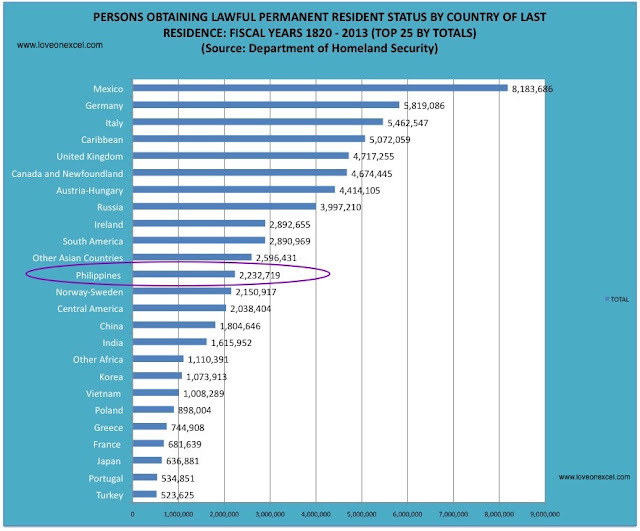 Filipinos are the 12th largest population of foreign nationals who have obtained legal permanent residence in the US from 1820 to 2013. 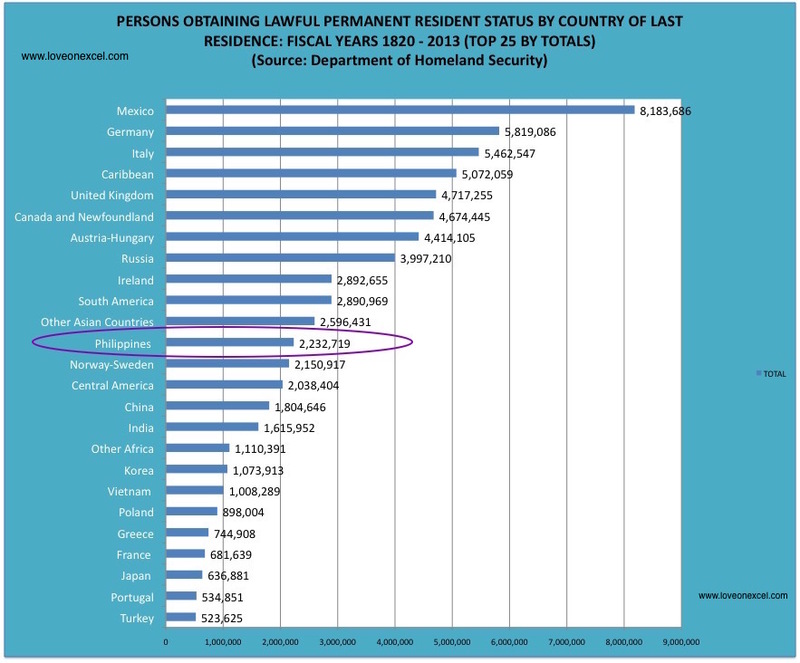 From 1990 to 2013, Filipinos are among the top 5 nationalities that have gained legal permanent residence in the States. Filipinos first set foot on US soil as members of the crew of the Nuestra Senora de Buena Esperanza that explored Northern California in 1587. The Center for American Progress identified Filipino sailors as the first Asian settlers in the country when they arrived in Louisiana in the mid-1700s.